As part of my initiative to bring more to this blog than my breakups with yoga (which happened AGAIN this morning -- why do I keep going back?? ), I'm going to give you some fun free stuff that isn't music. Because, I mean, music is free anyway. Instead, here is a free printable for a weekly planner. 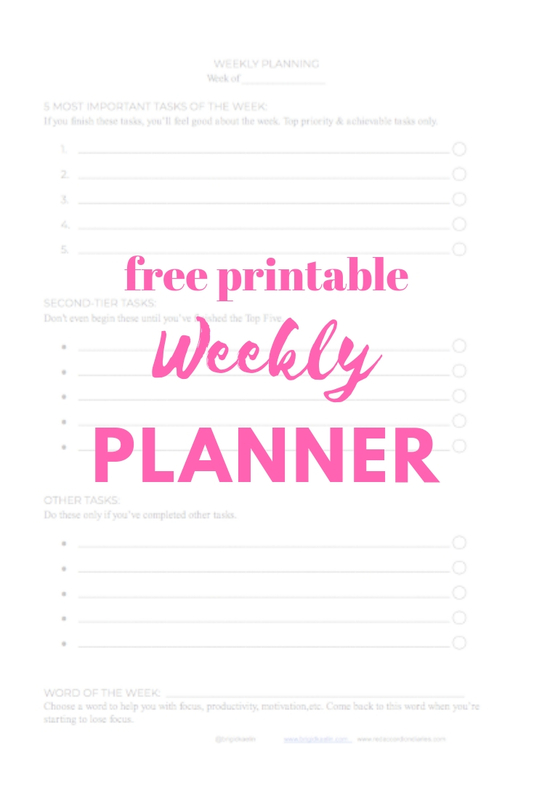 I'm working on another one -- a daily one that I find useful -- but here is a link to today's FREE PDF PRINTABLE WEEKLY PLANNER. Whoo hoo! Now I'm going to get off the blog and maybe actually fill out this weekly planner rather than just posting about it. ALSO: May my fine blog readers be the first to know about a Burns Night show (it's a Scottish thing, you know how I'm obsessed!) I'm putting on in Louisville on Friday January 25, 6:30-8:30pm. Advance tickets only. This show will sell out. Only 50 tickets available. All seated show.